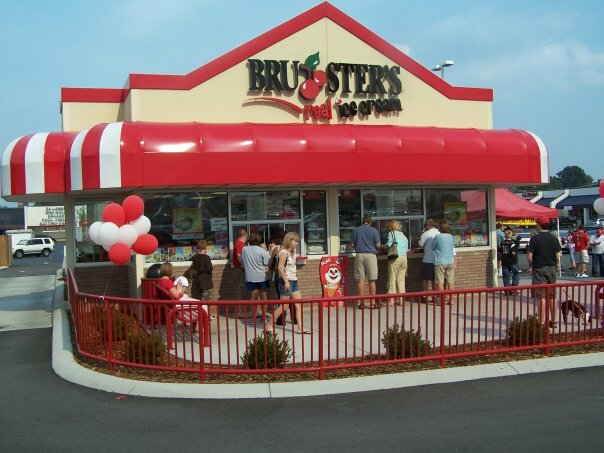 Bruster’s Real Ice Cream, at 2712 Scottsville Rd. in Bowling Green, will be offering its great homemade ice cream at a 10% discount for an entire year to all Bowling Green International Festival 2016 Restaurant Discount Card holders. Bruster’s offers a wide variety of homemade ice cream treats. Bruster’s has a Facebook page at http://www.facebook.com/brustersbg, a website at www.brusters.comand you can find them on Twitter @brustersbg or instagram at brustersbowlinggreen. Bruster’s Real Ice Cream has been a festival supporter for years by committing to the festival’s Restaurant Discount Card. Cards will be sold for $5 at the festival gates and Merchandise Booth (near the fountain) when the Bowling Green International Festival is held on September 26, 2015 from 9 a.m. to 6 p.m. at Circus Square Park in Bowling Green, Kentucky. Admission to the festival is $4 (children under 12 free) but, Restaurant Discount Card holders get in for $2. Thanks to Community Planner Ronnie Jaggers of ChiseledFeaturesStudio.webs.com for all her work in inviting area restaurants to join the card! Those interested in volunteering can apply for a shift on our website. The 10% discount for all restaurants on the card is good for the card holder only and does not apply to alcohol purchases or in conjunction with other discounts. 2014 Restaurant Discount Cards are valid from Sept. 26, 2015 to Sept. 24, 2016. Restaurants interested in being included on the card can submit an application/commitment form at www.BGInternationalFest.com/sponsor. Area restaurants are invited to set up a booth at the festival applications for boothspace can submitted at www.bginternationalfest.com/boothspace.